The University of Manchester Middle East Centre opened in Dubai Knowledge Park in 2006 and has supported over 2,000 part-time MBA students. It is the largest and fastest growing centre in the University's international network. The business school of The University of Manchester is one of the world’s top-ranked business schools and The University of Manchester Middle East Centre in Dubai is the largest and fastest growing executive centre in the University's international network, has provided support for more than 2,000 Global Part-time MBA students across the region. The business school also has a regional community of around 2,500 alumni and actively works to create professional networking opportunities to help enrich the wider business community. In the Middle East, The University of Manchester offers its world-class part-time MBA for experienced working professionals, in addition to a range of MSc and executive education programmes, and research and consultancy projects led by the University's faculty. The University works in a range of collaborations with professional bodies such as CIMA, ACCA, IMA and PMI, as well as UK organisations including UKTI, British Business Group and British Centres for Business. In addition, The University of Manchester has forged a range of partnerships with public and private sector organisations through its Strategic Talent Partnership programme. Alongside its academic programmes, The University of Manchester hosts masterclasses covering a range of business-related themes, as part of its ‘Guest Speaker Series’, led by top faculty, free and open to the public. The Business School of The University of Manchester has embarked on the region’s first research into Creativity and Innovation in the GCC, to mark the Middle East Centre’s 10th anniversary in 2016. Dubai and the region continue to be an area of economic growth, with a solid business infrastructure, a healthy and developing business environment, areas of skills development that are supported by the government, and businesses that are facing the challenges of maintaining economic growth through a period of economic change. 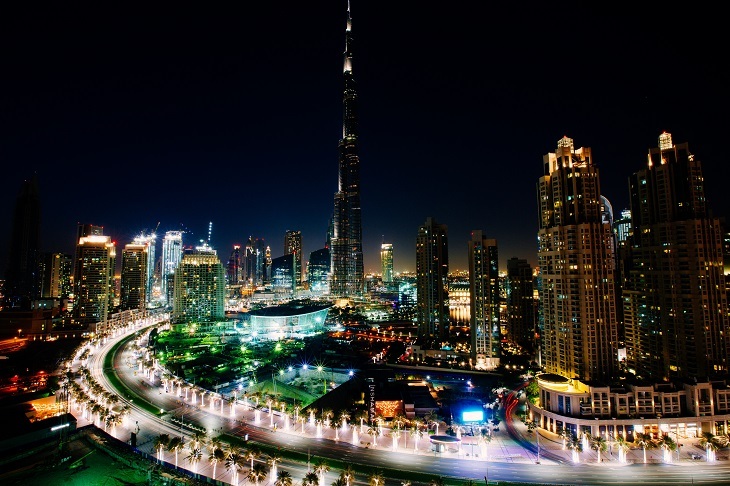 Dubai shares many similarities with Manchester; both are dynamic and vibrant cities that have transformed themselves to make a major impact on the world. Manchester was at the heart of the first industrial revolution and is still today a centre of research, innovation and learning; and Dubai is at the forefront of the new wave of the 21st century, knowledge-based economies. The Middle East centre, based in Block 2B at the knowledge hub, Dubai Knowledge Park, offers study, library and classroom facilities for students and visiting faculty from The University of Manchester, as well as office space for The University of Manchester regional team, which coordinates and supports all student activities, including highly interactive and intensive workshops conducted by visiting faculty from the University. A recent expansion at the centre has also increased the range of facilities available for students. We are delighted to have MBA graduates from the Middle East region. Since our first batch graduated in 2009 they have launched The University of Manchester Alumni Association-Middle East.